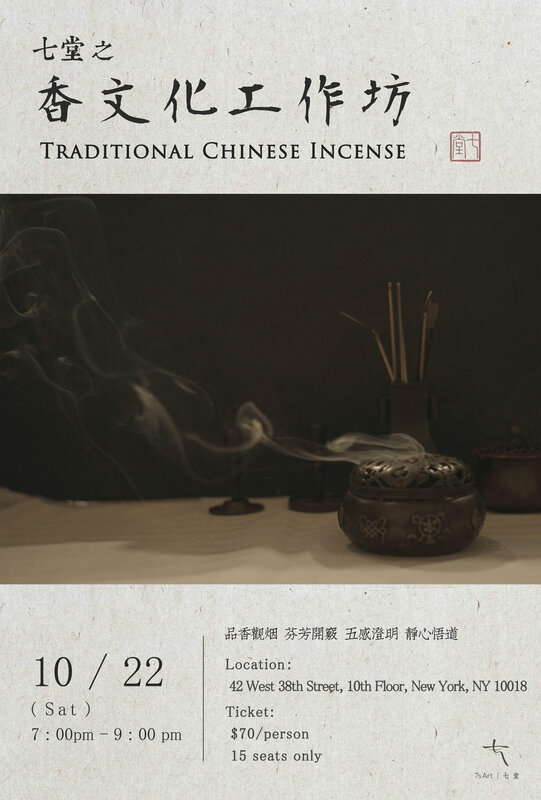 Come Join us this Saturday afternoon for a unique experience in learning and performing Chinese traditional incense. Our incense master, Ms. Xinyuan Cui, will guide you into the world of chinese incense burning utilizing five senses of human bodies, including sight, hearing, taste, smell and touch. Don't miss this one-of-a-kind opportunity to learn one of the finest major cultural heritages of China.